We find that many people have questions about laser hair removal but are too shy to ask. Are you interested in learning more about laser hair removal? New York City has many providers, and you’ll find that Manhattan Laser Centers is one of the few that is open and transparent with our clients. 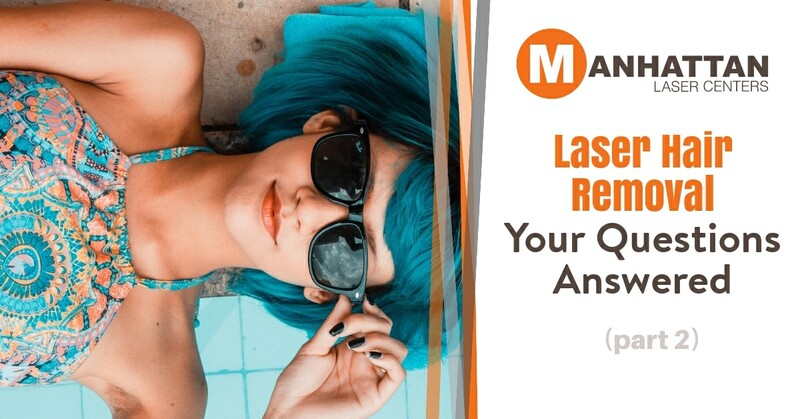 Over the next few months, Manhattan Laser Centers will publish a series of articles designed to answer the questions some people are too shy to ask. Yes, we can help! We are one of the few laser hair removal centers in New York City that uses a true medical laser. Medical lasers have been proven effective on all skin types and tones and are also effective in reducing and removing thick, dark hair. In fact, thick hair is actually easier for a medical laser to target and it responds much faster to treatments. Beware of companies who claim to use a medical laser but instead use intense pulsed light (IPL). IPL’s cannot treat thick hair without risk of burning the skin. Yes, we perform full body laser hair removal for both men and women. Some NYC customers prefer we treat specific areas (i.e. legs, arms, underarms, lip, chin, back, abdomen, buttocks, thighs, chest, bikini area, and private areas) while others choose to design and customize a full body package. Absolutely!!!! At Manhattan Laser Centers, we pride ourselves on being gender agnostic and are an official LGBTQ friendly zone as declared on our Google local business profile. Some laser hair removal centers in NYC are not gender agnostic and will not offer private area treatments to men. Yes we can! 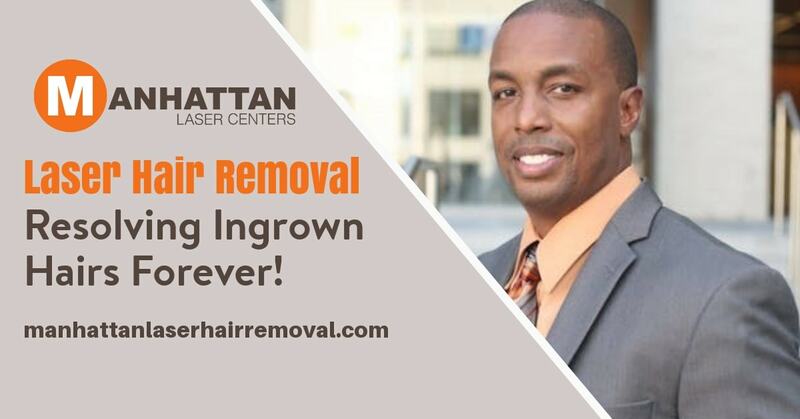 Ingrown hairs are a common problem that can be remedied with laser hair removal in just a few sessions. Next month, we will address more common questions people have about laser hair removal. Do you live, work or often find yourself in the New York City area? If so, Manhattan Laser Centers is your one-stop-shop and trusted source for all your laser hair removal needs. Schedule your appointment today! There are many options when it comes to laser hair removal. New York City is one area that is saturated with laser hair removal providers and it is often difficult to discern the differences. One aspect you should consider is whether the laser hair removal center you are considering in NYC uses true medical lasers or intense pulsed light (IPL). Unlike many laser hair removal centers in New York City, when you choose Manhattan Laser Centers, your treatments will be conducted by a professional using a true medical laser. Medical lasers use laser technology to permanently remove hair. IPL, on the otherhand, uses broad-spectrum light which does not permanently remove hair and is considered an alternative to waxing. Destroying the hair root is key when it comes to successful laser hair removal. Medical lasers kill the hair root while IPL deals with only the fine hairs on the surface. Medical lasers are a medical technology and require licensing. IPL’s are for spa’s and don’t require licensing. IPL can ONLY be used on very, very light skin with very fine hair, otherwise it will burn the skin in the process. Medical lasers, however, can be used for laser hair removal on all skin tones and hair textures. When it comes to laser hair removal in NYC, Manhattan Laser Centers has you covered. We are FDA cleared and use medical lasers by Candela. In addition to or as an alternative to full laser hair removal, we can also reduce or re-design body and facial hair and eliminate ingrown hairs. If you live, work or are visiting New York City, Manhattan or any of the surrounding areas, give us a call today! We post all of our prices on our website so there are no surprises. We have been told that other centers post prices which often do not include hidden costs for laser hair removal. NYC has many providers all competing for the same business so when you see prices, be sure to read the fine print. You can count on Manhattan Laser Centers to provide honest, up front pricing with no hidden costs. We use the FDA cleared Candela medical laser for all treatments. This state-of-the-art medical laser can be used on all complexions and is very effective for permanent laser hair removal. New York City has many providers who claim to use medical lasers, but instead use pulsed light, which is not capable of going deeper into the skin and reaching the base of the hair follicle. You should always demand transparency when it comes to services involving laser hair removal. NYC is chock full of providers who talk the talk but don’t necessarily walk the walk. We at Manhattan Laser Centers are proud of our transparency and invite you to tour our facility at any time. Are you considering laser hair removal? New York City residents and those in surrounding areas trust us with all of their hair removal needs. Schedule your appointment today! Now that the hustle and bustle of the holidays are over, it’s time to do something special for you. There is no better time than the present to consider laser hair removal. Permanent laser hair removal means no longer having to worry about shaving or stubble. 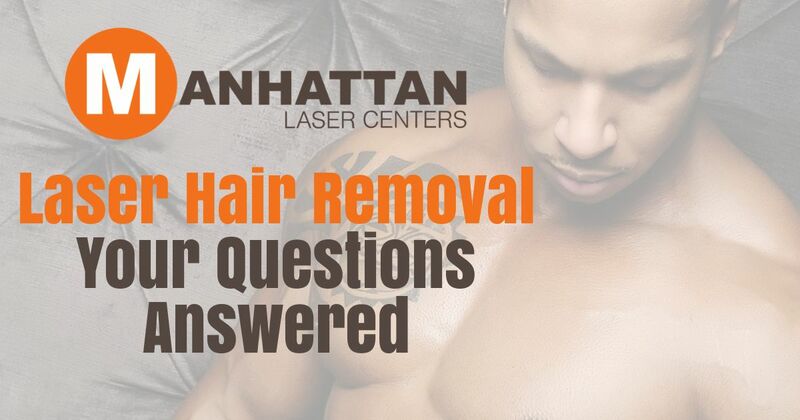 At Manhattan Laser Centers, we treat both men and women and can perform laser hair removal on just about any part of the body, including the upper lip, chin, bikini area, underarms, legs, arms, chest, back, abdomen, buttocks, thighs and private areas. When it comes to laser hair removal, New York City is home to the best! We are not your typical center for laser hair removal. NYC residents, those in surrounding areas and even visitors from all over the world choose Manhattan Lasers Centers because of our quality, experience and the fact that we use true medical lasers. Inferior centers use pulsed light and call it laser hair removal. 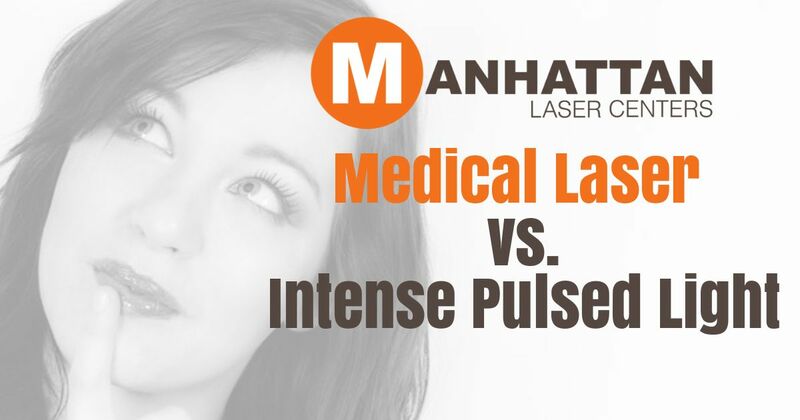 NYC has many providers who say they use medical lasers but really use pulsed light. Pulsed light is lower quality, not as effective and has challenges when it comes to darker skin. Medical lasers, on the other hand, are extremely effective, deliver precision and quality and can be used on darker skin. 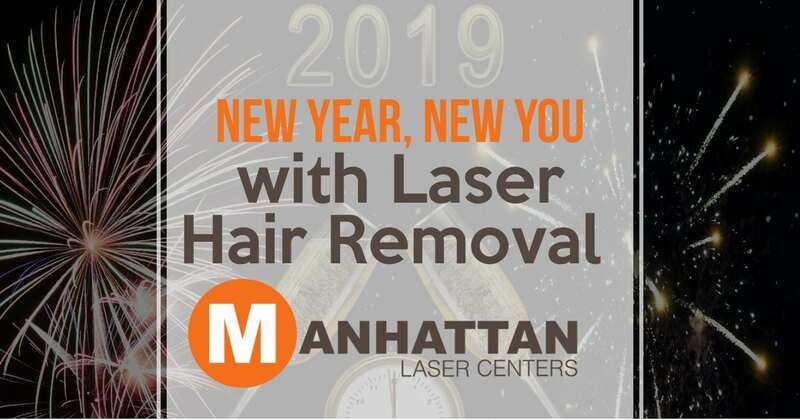 Manhattan Laser Centers is the preferred provider for laser hair removal in New York City and Manhattan, including Midtown and surrounding areas. Whether you live in NYC or are just visiting, Manhattan Laser Centers will take care of you and all of your laser hair removal needs. Start the new year off right by giving us a call today!